The purpose of ASL 1 is to provide a foundation of signing production and comprehension. The first year students will be able to communicate and interact within the context of a variety of everyday situations such as family, school life, eating, shopping, and traveling. 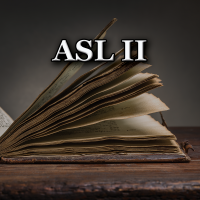 ASL 3 is the natural progression of the prior two years of instruction. There is a broader and bolder expectation of ASL expressive and receptive learning. Chinese 2 will anticipate an increased introduction of Chinese characters and demands for textual literacy. Thematic units for Chinese 2 include Shopping, Health/Fitness, Where Things Are, School Life, Weather/Seasons, and Transportation. By the end of the full year, students are expected to learn to speak and read approximately 600 new words/phrases, and learn to write approximately 300 words. Chinese 3 introduces more advanced and literary levels of Chinese words to allow students to communicate at an abstract level. 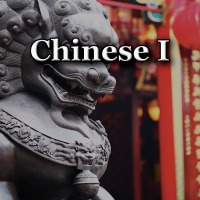 Longer and authentic texts such as emails are also included in the course to let students practice how to correspond and express their opinions in Chinese. Chinese 4 further builds upon the foundation of listening comprehension, reading comprehension, writing, and speaking in modern standard Mandarin Chinese formed throughout levels 1, 2, and 3. 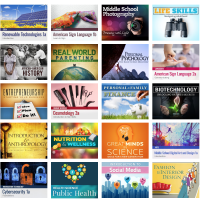 Click to View Complete List of Elective Courses Instructions: Click "Add to Cart" below to add an elective class to your cart. Once you've completed your purchase you will receive a confirmation email with a link to an enrollment spreadsheet where you'll enter your elective course selection. 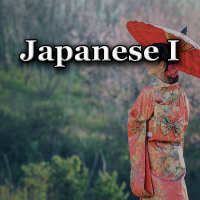 Japanese 1 provides a foundation of listening comprehension, reading comprehension, writing, and speaking in modern Japanese. This course aims to expand all four language skills of listening, reading, speaking and writing. 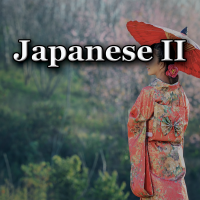 Students are expected to express their own meaning fluently using the structures learned in Japanese 1 while expanding their vocabulary and continue to strengthen their foundation in grammar and sentence structure. 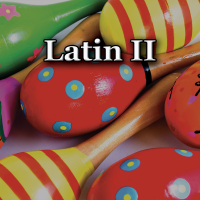 Latin 1 is an introduction to the study of the Latin language and Greco-Roman culture. Students learn Latin vocabulary in context translating Latin stories concerning the life of the Roman poet Horace. Latin II expands the vocabulary and grammar from Latin I.